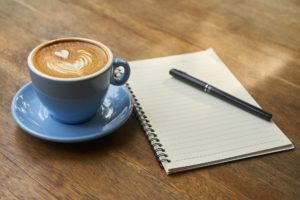 Why I needed that Coffee, but Swiss Cheese too! A kind of funny thing happened to me this morning, well it then turned to a bit of mild frustration too I guess! It was one of those mornings when I really needed a good coffee, you know that kind of feeling. But the jar was bare, no emergency supplies either so I had to make a dash to the local mini market to buy some. When I walked in, I noticed that they had a rather tempting looking coffee machine there, with one of those gorgeous pictures of a great looking Barista created cappuccino. That was it, perfect I thought, I’m having one of them. So I read the brief instructions, Place Cup and then Press Button it said, dead easy. So I pressed the button, waited a brief moment, and then another and nothing seemed to happen. So I pressed it again, hallelujah, that was it, the coffee was flowing and Wow, did it look and smell good. The cup was nearly full, has it finished? Oh hold on, a wee bit more then, must be finished now? But then it started a whole new cycle, a second cup was starting. My impatient second press of a button told the machine that I wanted 2 coffees! I was embarrassed, I collected my cup and quickly paid for it and left, I mentioned it briefly to the assistant but she just said “oh that often happens”. I then looked round and someone else was at the coffee machine and proceeded to do exactly the same as me! That was it, I had to do something. I asked the assistant why they didn’t put another sign up or if she had reported it to the manager, “Oh yes” she said we reported it to Regional Office but we’re not sure what they’re doing about it yet, so don’t worry”. The whole thing just reminded me of a classic Swiss Cheese effect that needs to be properly Root Cause analysed right back to the designer of the beautiful coffee machine. Think about it everyone, imagine the waste of resources and money that this little Sunday morning experience is causing. This was a mini market of a major supermarket chain so I imagine other stores have the same coffee machines too. 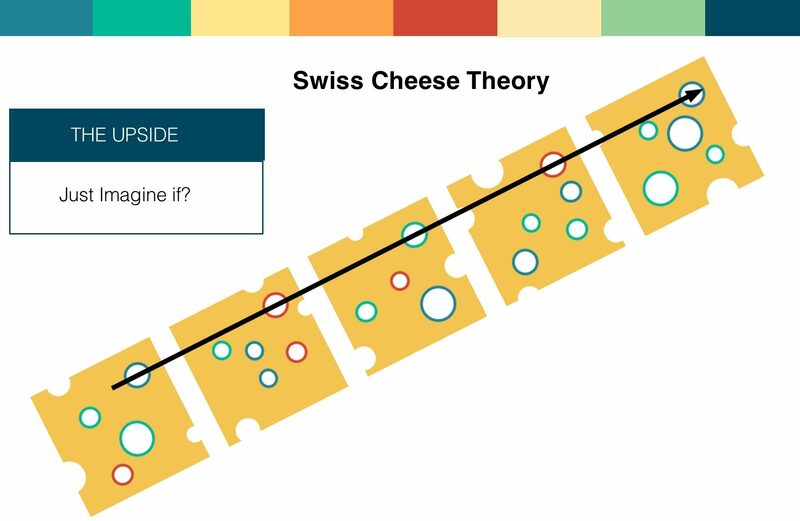 Let’s keep a look out for those holes in the Swiss Cheeses everyone. Let’s not be scared to report them even if they seem trivial as they could lead or add up to major failures or catastrophes. Let’s also remember to properly acknowledge and even praise those people that do fill in the holes from time to time. Reminds me of a Unsafe act and unsafe condition, bad work process I observed a few days ago,whilst at a petrol station I observed a fuel tanker operator pull up at the filling station to refuel the underground fuel bunker tanks with petrol 95 Octane.As I watched he unpacked the pipes and piping opened the fueling nozzle hatches but at no time placed hazard identification warning signage or demarcate the “Line of Fire”zone with any kind of perimeter barrier (+- 30m) I would presume.He failed to stop vehicles operating in near on and or around the tanker and filler nozzle and even later ignored a person walking by with an ignited cigarette. When confronted he had many excuses and quite obviously did not grasp the enormity of the error of his ways or possible potential extremely hazardous situation and outcome which could lead to possible loss of life,huge damages and losses. It became apparent that this company SHELL petroleum SA do not do PJO’s, monitor or retrain persons such as these operators and are by so doing exposing innocent people and private property to danger.The matter was reported and an acknowledgement of receipt received.